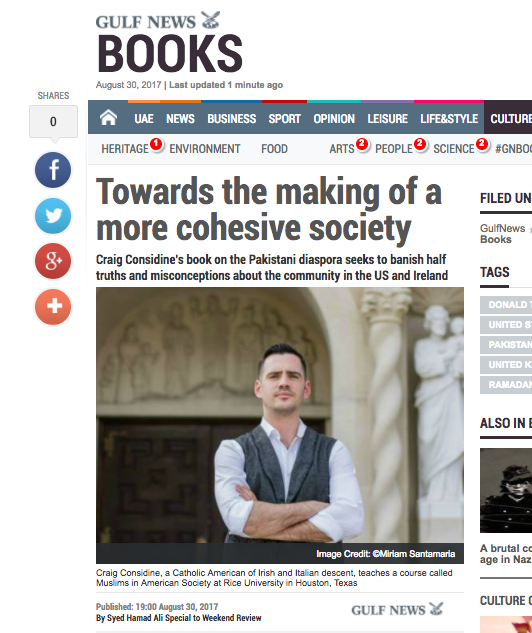 Syed Hamad Ali of Gulf News carried out an interview on my new book, Islam, Race, and Pluralism in the Pakistani Diaspora. In addition to diving into the book, Ali’s article sheds light on Pakphobia, a term I introduce in the book, Islamophobia, Muslim Diasporas, American/Irish identities, white nationalism and racial profiling. You can read Ali’s Gulf News article here. 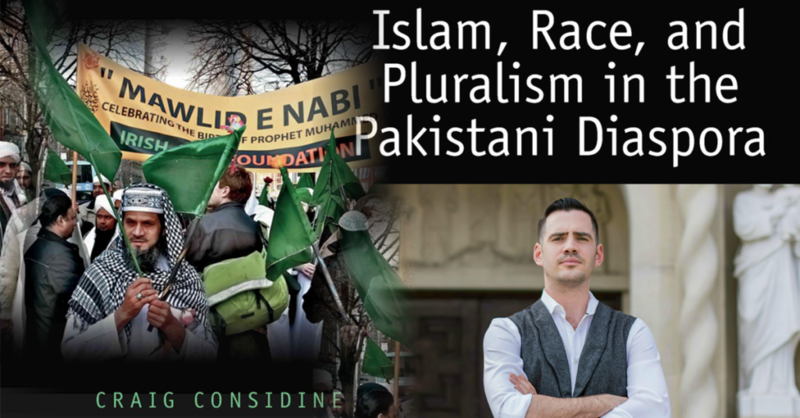 Islam, Race, and Pluralism in the Pakistani Diaspora is now available in libraries around the world including Harvard University, Cambridge University, Columbia University, Duke University and Northwestern. The full list of availability can be found here. Islam, Race, and Pluralism in the Pakistani Diaspora can be purchased on Amazon.com.